that goes againt the naming policy that i’m using that plex and emby recommend. I have noticed that Joy’s releases are bad about not including the quality in the actual file name. 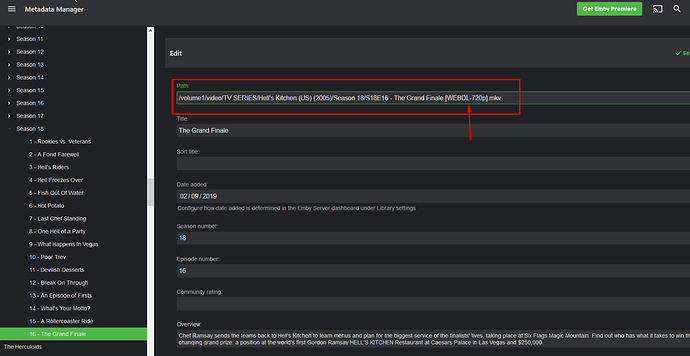 And when Sonarr does the rename it doesn’t fall back to the Torrent name. i’m using emby and the renaming is managed by sonarr without any problem! the issue is not the naming convention being used. again, the issue is not the naming convention being used. sonarr is detecting it as WEBDL-1080p on the available downloads list and then setting it to HDTV-1080p after it has been downloaded. what has your episode got to do with this? i will continue to use the naming convention that i currently use, and the one that both plex and emby recommend is used. if sonarr detects it as WEBDL-1080p before download and then changes it ot HDTV-1080p after then i see that as a “bug”. regardless of whether the quality is in the file name or not, sonarr already knows it’s WEBDL-1080p before downloading it so should be able to recognise that after it has downloaded and tag it accordingly. if you renamed manually the episodes AFTER sonarr has download it and process it, sonarr will detect it as HDTV-1080p because it will rescan the file! 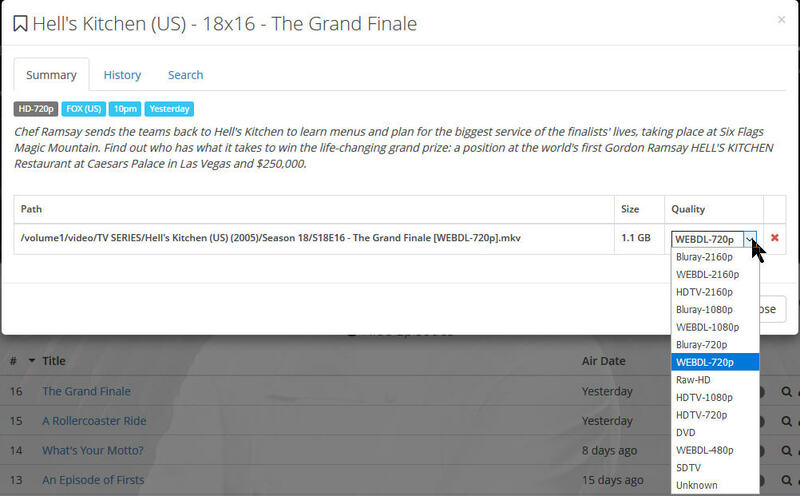 sonarr doesn’t have a way to detect it as WEBDL-1080p because you changed the file name! the only way it will re-detect it as WEBDL-1080p is if you tell it in the file name! if you’re NOT renaming the file manually, then, this doesn’t apply to this case and there is a bug somewhere! my episode is only used as a reference for the naming convention and how emby detect it correctly in case there is a bug in the code! i didn’t rename it manually, sonarr renamed it. again I DIDN’T CHANGE THE FILE NAME, sonarr renamed it as part of the download and import process. And when Sonarr does the rename it doesn’t fall back to the Torrent name. Sonarr will use the name from the download client, which likely matches the file name in this case. This is an issue with the file name, until that release group uses names that include the quality you’re going to have this problem with those releases. This isn’t an issue with the naming format or anything else, it’s just garbage in, garbage out. Plex and Kodiwill definitely both work with the quality in the file name, that’s never been an issue I assume the same is true for Emby. if you’re NOT renaming the file manually, then, this doesn’t apply to this case and there is a bug somewhere! if you want to keep using those releases then your only options are to manually rename the file (which in OPs case they dont want to do as they dont include quality type in the name) or you can edit the quality in sonarr so that sonarr knows what it is and wont keep looking for an upgrade. thanks for the tip on changing the quality directly on the episode itself!